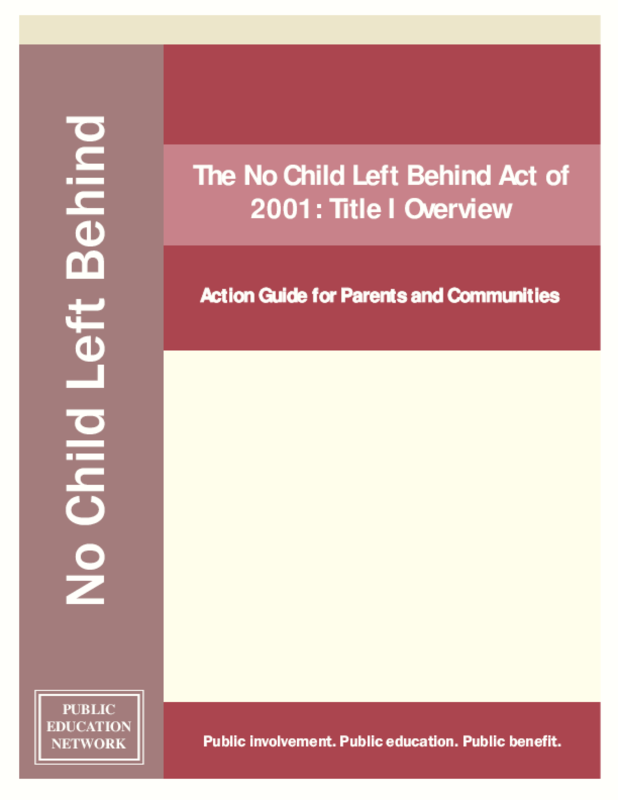 Title I of the No Child Left Behind Act is the largest federally funded program for elementary and secondaryschools. Its purpose is to provide federal funds toschools with high concentrations of children living inpoverty that are not achieving academically well. NCLBstrengthens Title accountability by requiring States toimplement statewide accountability systems covering allpublic schools and students. It also requires States todevelop annual assessments for grades three througheight and once in high school that are aligned withState standards and to use achievement on theseassessments as the measure of district and schoolaccountability. The system is meant to ensure thatdistricts and schools make adequate yearly progress(AYP) toward having all children proficient in readingand mathematics by the 2013 -- 2014 school year. For Title I schools that fail to meet the AYP establishedby each state, the law mandates a set of progressiveconsequences for schools that fail including publicschool choice, supplemental educational services,school restructuring, decentralization of the school,reassigning staff, state takeover, and contracting outservices. In addition, there are more opportunities forparents to become involved including being informedabout the quality of teachers in the school, thedevelopment of district and school parental involvementpolicies, choice of another public school, selection ofan outside entity that would provide supplementaleducation services for students, and participating on aschool action team in the case of a low performing school.